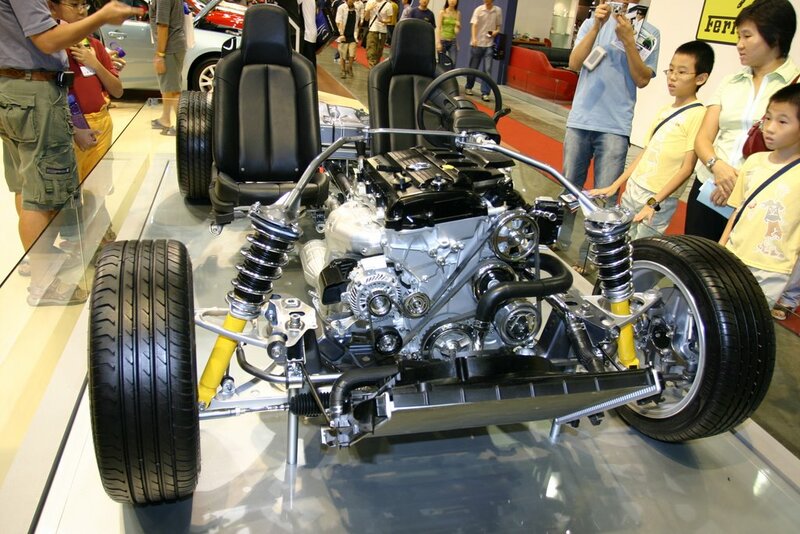 Folks, when you own a car, do you ever wonder how the skeleton inside really look like ? 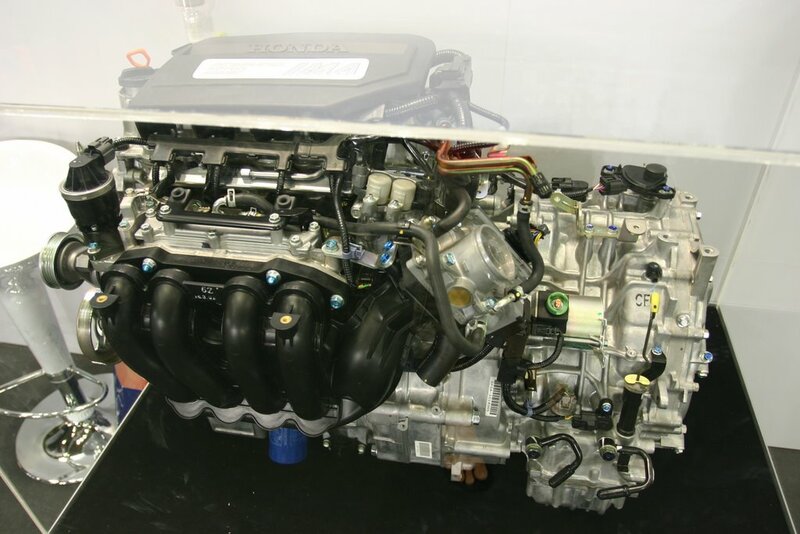 Besides, opening up the car bonnet and looking at the engine enclosed compartment, where else would you be able to look at the chasis and engine etc when you only go to the mechanics. 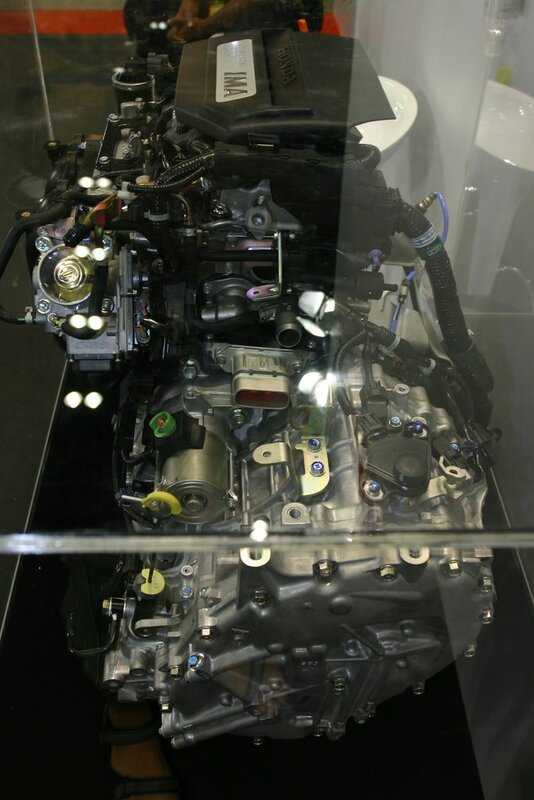 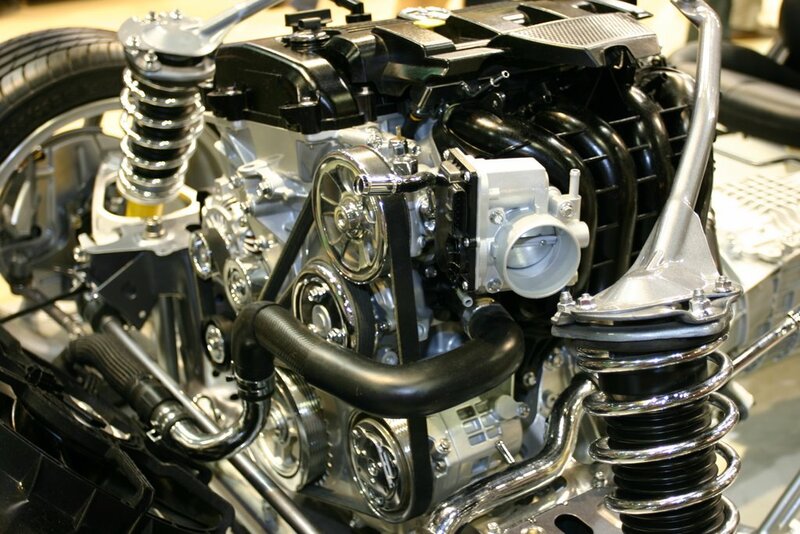 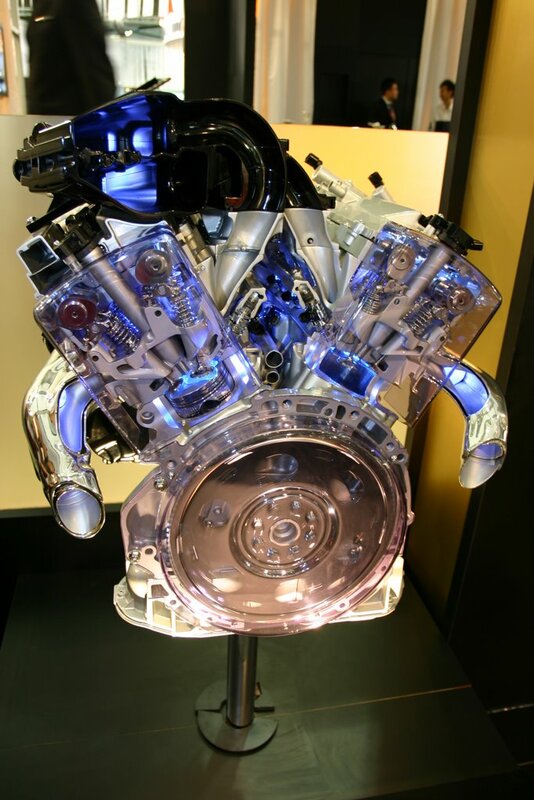 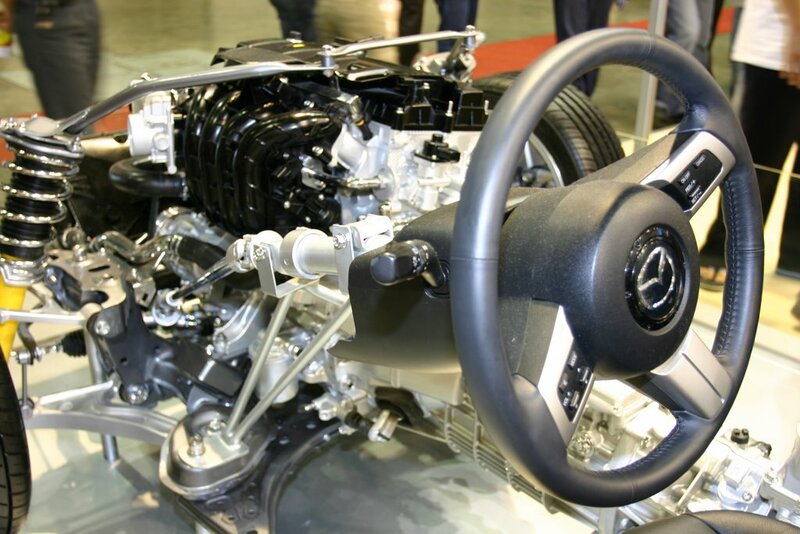 During Motorshow 2006, the manufacturers “opened” up their car engines and allow the visitors to have an idea of “what is really inside my engine”. 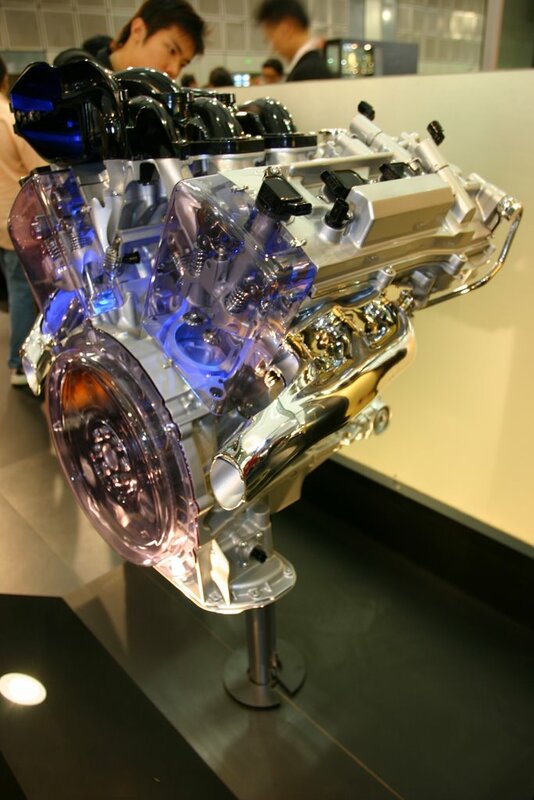 Car owners would have a better understanding of their cars and how the “skeleton” looks like.